Tulsa Police are responding to 3116 South Garnett for a car accident that led to a shooting. Calls came in as a SUV that hit another car and tried to flee. As they were trying to get away they collided with the building. According to reports, the driver of the black SUV was shot multiple times in the upper torso which caused the erratic driving. We are told at one point there was a crowd of around 200 people. According to police the victim has died. 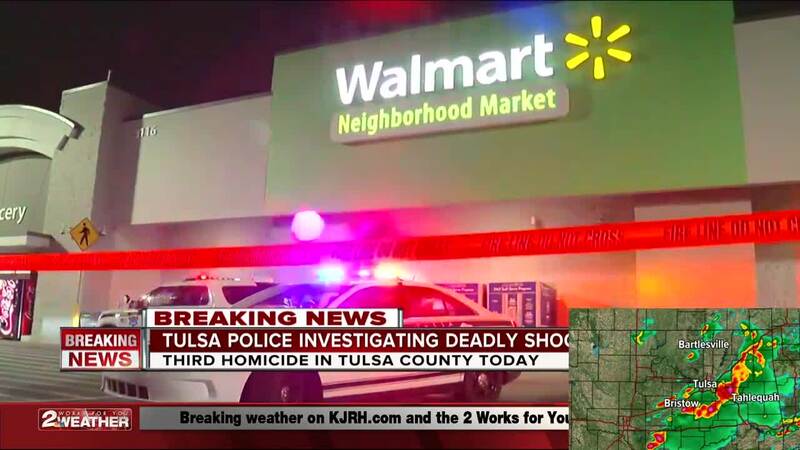 The victim has been identified as Desean Tallent, a 25-year-old male.